CPP EXPO is history. With more than 1,600 exhibitors and something like 630,000 net sq ft of display space, the combined events broke all records for the show when held at the Las Vegas Convention Ctr. Attendance was reportedly more than 25,000. Granted, it’s a little hard for one person to cover a show like this, so here is only a smattering of new substrates distilled into this year’s version of the PACK EXPO Film Fest. Multifilm Packaging Corp. showed its new Hi-E™ high-barrier and Hi-Z™ high-speed metallized sealant webs. 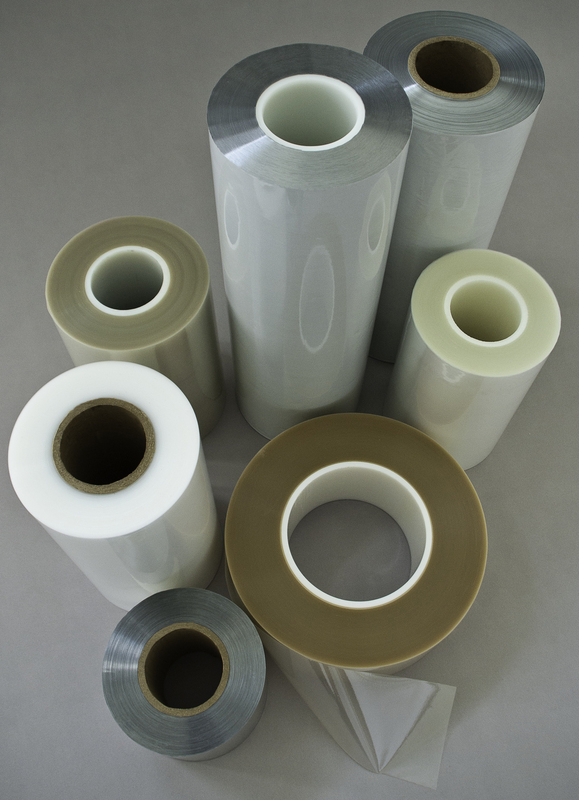 Both boost source-reduction efforts by helping to replace more expensive triplex laminations, are said to be alternatives to surface-printed MET PET/PE, and laminate well to other films or paper. 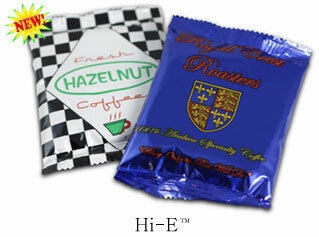 Hi-E is a coextruded cast-PE film suitable for standup pouches, VFFS and HFFS apps for dry foods, coffee, confections and snacks. Hi-Z is a barrier, coex cast-PP film with an extra-thick heat-seal layer for hermetic seals at high speeds. It fits similar end-use apps and for pillow packs, nut packaging, etc. NanoShield film from The Filmquest Group moves nanotechnology from the lab to the marketplace. The high-barrier substrate for food packaging resists moisture and oxygen with a one- to three-nanometer-thick layer of regularly shaped flat platelets from minerals similar to silica or clay. A proprietary purification and irradiation process deposits the platelets onto clear PET, OPP, BON or PLA films. Filmquest president John Felinski says the engineered tech fits “green” trends by allowing replacement of clear PVdC-based films currently in the market. Rollprint Packaging Products’ new stock program for many of its custom, high-performance rollstocks includes easy-open, peelable structures and foil composites for pouches and lidding apps. High-speed flow wraps using the company’s proprietary ClearFoil® barrier-coated polyester or aluminum foil tied with an aggressive sealant are part of the mix. The program helps converters that in the past couldn’t afford the custom route and were forced to use low-end, off-the-shelf commodity options. Converters can now minimize upfront validation costs as well. Typical apps for the available films include medical-device, pharma and nutraceutical, life-science and even durable consumer-goods products. A next-generation overwrap film for medical-kit packaging from Clear Lam is made with a minimum of 40% renewable raw material. Produced with Ingeo™ PLA and coextruded at Clear Lam’s facility, the film reportedly seals at high speeds, has excellent dead-fold properties and is easily torn for fast opening. The overwrap can be printed in up to 10 colors and fits medical kits, IV bags, syringes and other healthcare products. Mirel P5001 film-grade compound from Telles is intended for anaerobic digestion and municipal composting. Film made with Mirel P5001 is said to offer good puncture toughness, tear resistance and seal strength, along with good printability and shelf stability. Ideal apps: compostable bags, merchandise bags and marine uses. Mirel P5001 processes on both cast- and blown-film extrusion lines. While not films, two adhesive developments from H.B. Fuller solve film-lamination challenges facing the whole supply chain from converters to brand owners to even consumers. Flextra Quiet™ water-based adhesive cuts the noise level of flexible packaging made with PLA-based laminations (aka “The SunChips Effect”). It is also formulated for use with other films typically employed in sustainable flex packs. Flextra Fast™ solventless-laminating system reportedly lets converters laminate as fast as 1,700 fpm, slit in only a few hours and provide PAA decay in as little as two days. End-user packagers can then fill and ship with finished goods or foods in as few as two days, the supplier says. And while not specifically exhibiting at PACK EXPO, Peruvian supplier Opp Film S.A. was on hand in Las Vegas to tout Packfilm N.A., its new North American distribution and technical support office in Houston, TX. OPP Film is now supplying biaxially oriented polypropylene (BOPP) and cast-polypropylene (CPP) films to firms in the US, Mexico and Canada. Available in one to three layers, thicknesses range from 15-50 microns for BOPP products and 18-150 microns for CPP film. Delivery times of only four to six weeks are typical. 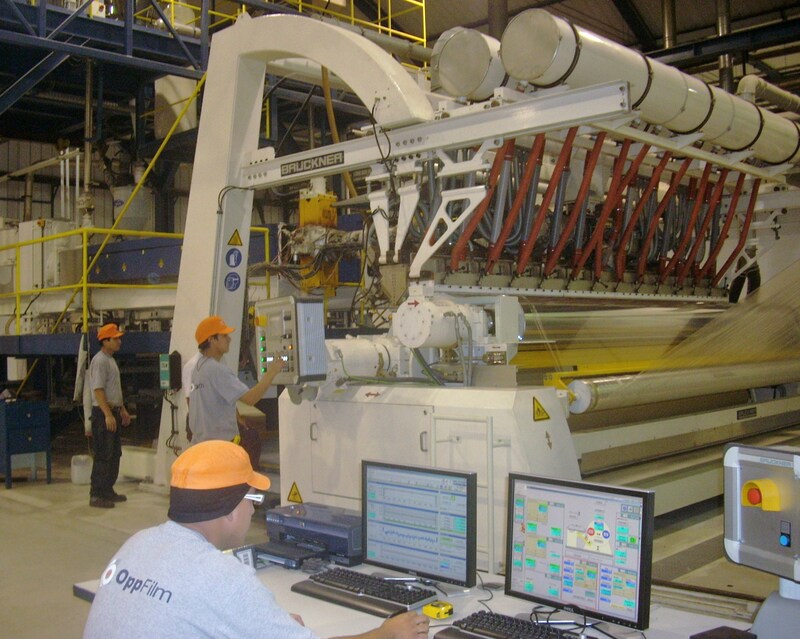 The firm has just started up an 8.8-meter-wide BOPP film line with a second line at that width to come online next February. A new 3.5-meter-wide vacuum metallizer will start production in January 2012. And what will reportedly be the world’s largest (6.2 meters wide) cast-PP film line has been ordered by the company with commissioning set for February. 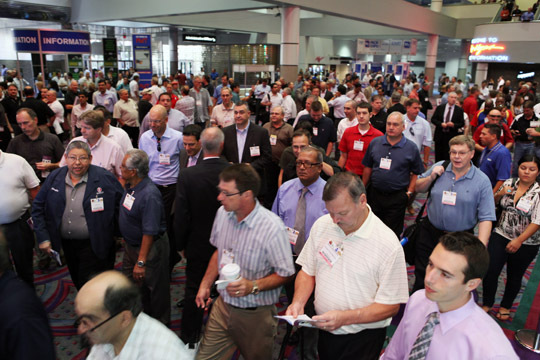 My Thoughts: It was reminiscent of the “good ‘ol days” of trade shows this week as the aisles and exhibitor booths of PACK EXPO and CPP EXPO were clogged with attendees. For us at Converting Quarterly (despite not having the world’s best location), traffic was constant on the first two days, somewhat non-existent on Day 3. I’m chalking up the record-breaking Vegas version of the shows to a few facts: 1) Packaging is in many ways a pretty recession-proof part of the economy. 2) For some companies to survive, lean manufacturing can mean investing in highly automated packaging machinery that boosts productivity while (unfortunately) eliminating the need for people. And 3) packaging is perhaps the best way to differentiate your product on the shelf from all those competitors out there. This entry was posted in coating/laminating, flexible packaging, sustainability and tagged bioplastics, converting, flexible packaging, Pack Expo, packaging, plastic film, recycling, source reduction, sustainability. Bookmark the permalink.